Binance as a crypto exchange expects to see profits rise to a billion by the end of this year. 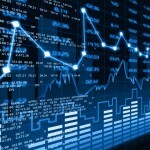 It is one of the leading exchanges in cryptocurrency that has about $300 million registered in revenue as a trading platform which has already been achieved by the first half of the year; it has already seen a fivefold increase in its user number; these statistics point to the platform increasing its presence in a significant way this year. Binance CEO claims that the platform has about 10 million users on board. This year has not started well for investors in the cryptocurrency world, but Binance has gained high trade volume and gained revenue of $300 million dollars already. As per the CEO of the platform, Changpeng Zhao, the platform would be able to see a net profit reaching nearly one billion in USD by the end of the year. The market for cryptocurrency exchanges is growing rapidly as new platforms emerge every other day. A noticeable name in this segment is also Southxchange that offers exchange and trade in Bitcoin and other leading cryptocurrencies. The established cryptocurrency exchanges are progressing slowly but Binance, as per the date put forward, such as an increase in users being heightened by 2 million and so forth by the beginning of the year, showcase increasing reliability and profitability of their platform. The firm started to operate in 2017, in the month of July. Their Initial Coin Offering event resulted in rising of $15 million in the capital. The trades on this platform peaked by the end of 2017 and about $11 billion are noted in daily trades on this platform. The company was initially formed in China; however, as there was a ban imposed on crypto trading in this country by the authorities that took effect from September in the last year, the exchange has moved its operations to its headquarters in Japan and also opened up an office that handles certain operations in Taiwan. 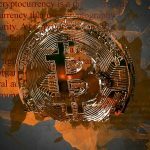 There had been certain issues such as the financial authorities in Japan issuing a warning to the exchange to shut down their operations as it was operating without a license for which it was liable to face criminal charges. As regulatory pressures increased, the company then relocated its operations to Malta. In the new jurisdiction, the company would have a fiat-crypto exchange set up that would support withdrawals and deposits in GBP and EUR. These currencies have also been added as trading pairs on this platform. This island nation offers jurisdiction that is crypto friendly, being an EU member state. They have welcomed Binance as this exchange has been operating profitably and they can enjoy the favorable climate for business in this country. Binance is also opening up a platform in Uganda as well as plans to set up operations in Bermuda. It also plans to have investing ventures in different blockchain projects and companies.